When you’re shopping for a new vehicle, price is often a deal breaker. Save yourself some time, effort, and disappointment – and claim some incredible savings – when you buy your new car from Renaldo Honda! We know that buying a new car is a big deal, and that you’re looking to save as much as possible on your CR-V, Accord, or Civic. That’s why Renaldo Honda makes a special point to offer low everyday prices as well as other great savings at every turn. Where do these savings come from? Well, in addition to those low sticker prices we mentioned, there are plenty of other ways to cut the cost of your new Honda down to fit comfortably within your budget. Factory incentives, special lease offers, and our own limited-time discounts are a few of those ways. Once you’ve found your perfect new Honda vehicle, let our helpful associates share with you all the fantastic offers we can apply to your purchase price or lease offer. Surprising our customers with the remarkably affordable bottom line is our favorite part of the process! Now that you know we are on your side when it comes to saving you every possible dollar, go ahead and explore our fantastic inventory online. Renaldo Honda stocks the complete lineup of new Honda models – the efficient and budget-friendly Fit, the legendary Accord, the family-friendly Odyssey – so there is something here for every driver’s need, preference, and budget. 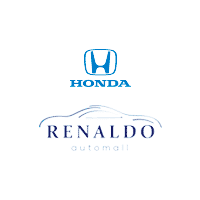 Use our handy filters to narrow down your options to just the vehicles that meet your specified criteria, and then it’s time for the fun part – visiting Renaldo Honda in person to take some thrilling test drives! If you’re interested in saving time as well as money, fill out an online credit application before you come in. This will streamline the process and leave you more time for the good stuff, like hearing about all the savings you’re going to get on your dream car. With our great selection, fantastic prices, and special offers geared to make your new Honda more affordable than you ever imagined, there are plenty of compelling reasons to visit Renaldo Honda today! Explore our inventory and our currently running specials online, and then head to our dealership to test drive your favorite models and find out how much you can save on your perfect new car, truck, van, or SUV!